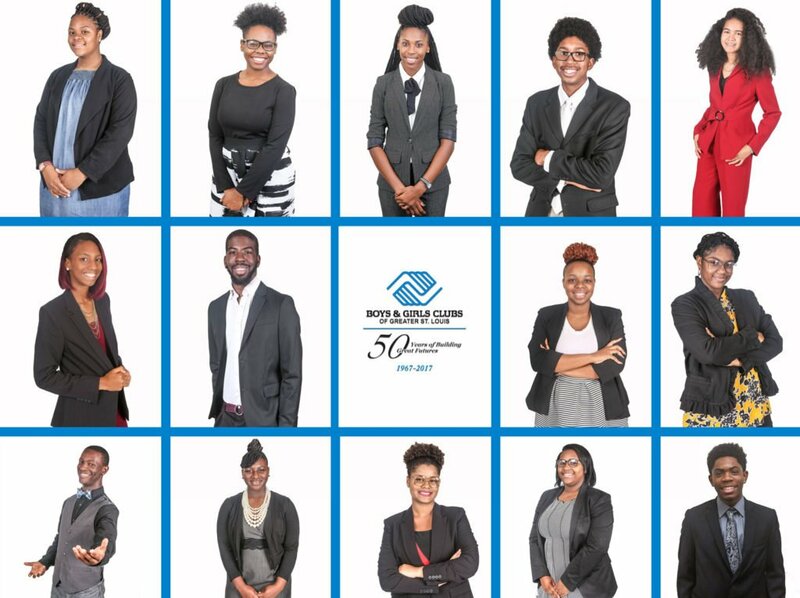 Meet our 2018 Youth of the Year (YOY) candidates! Fourteen teens are being recognized for demonstrating outstanding leadership in their schools, communities, and Clubs. But only one will be awarded with the highest honor — Youth of the Year for Boys & Girls Clubs of Greater St. Louis. Over the past few months, the journey for these teens has included professional development sessions such as essay writing, personal branding, public speaking and interviewing skills – much of what’s been led by the Friends of the Club, the BGCSTL young professionals group. Many of the “Friends” also signed on the mentor the Youth of the Year candidates throughout the process. The YOY candidates will participate in one more activity this week, getting them closer to becoming one of the finalists who will present their speech in front of over 600 guests at next week’s Great Futures Gala! By the end of the evening, a deserving teen will be crowned Youth of the Year! The Youth of the Year program honors our nation’s most awe-inspiring young people on their path to great futures and encourages all kids to lead, succeed and inspire.